Miscarriages? It May Be From DES! Have you ever had a stigma placed upon you or your family members for something you did not do? I’m with you on that if so. And after all these years, I’ve learned all the info and have the need to “tell all” so that anyone of you who do not know will feel some relief. Also from your educating other, I hope to reach those people – the hurting women and men who suffered unbeknownst to their parents. 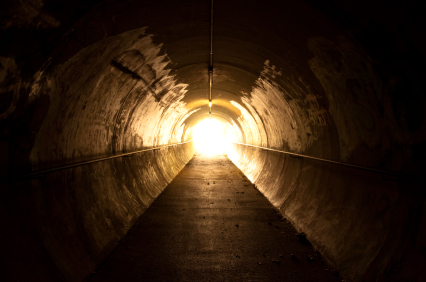 I do want you all to realize that there is life (and light) at the end of the tunnel. I was very fortunate. Although surgery by hysterectomy was necessary, I’m a survivor of cancer and have lived a full life thus far. Hopefully, I’ll continue! Years ago, I was presented with a serious ailment. I had a cervical tumor, 3rd stage cancer bordering on 4th stage – extremely serious obviously. Only years afterwards did I learn why this occurred. But originally when I received the horrendous news in 1980, they tried a couple of things to maintain my ability to have children, as I had only been married a year and as yet had none. Ultimately though a hysterectomy was necessary to preserve my life. At the time it was one of the hardest things I’d ever had to undergo. My mother had five children, however, she also suffered several miscarriages during her child-bearing years. She was a devout Catholic and as such pleaded with her doctor to tell her how she could be helped from the trauma of miscarriage. Her doctor prescribed Diethylstilbestrol (or DES) which was a synthetic nonsteroidal estrogen that was synthesized about 1938. There are many of you, I’ve learned, and I want you to be aware of the facts to help alleviate any guilt you may be feeling. As it has been alluded to that this type of cancer can be due to promiscuity at an early age, we now need to clear the air. So I’m going to SPEAK OUT for myself but primarily for any of you with the situation of being a DES daughter or son, and for those of you who don’t know what you went through – the reason/s – and for those of you who have yet to learn of the problems you may face. From about 1940 to 1971, DES was given to pregnant women in the mistaken belief it would reduce the risk of pregnancy complications and losses such as miscarriage. In 1971, DES was shown to cause a rare vaginal tumor in girls and women who had been exposed to this drug in utero. In fact women such as myself were alerted to having cervical cancer and/or vaginal cancer. The Food and Drug Administration subsequently withdrew DES from use in pregnant women. Follow-up studies have indicated DES also has the potential to cause a variety of significant adverse medical complications during the lifetimes of those exposed. This per the U.S. Department of Health and Human Services: Centers for Disease Control and Prevention. The US National Cancer Institute recommends women born to mothers who took DES undergo special medical exams on a regular basis to screen for complications as a result of the drug. Individuals who were exposed to DES during their mothers’ pregnancies are commonly referred to as “DES daughters” and “DES sons”. In the 1940s, DES was used off-label to prevent adverse pregnancy outcomes in women with a history of miscarriage. And in July 1947, the FDA approved the use of DES for this indication. The first such approval was granted to Bristol-Meyers Squibb, allowing use of 25 mg (and later 100 mg) tablets of DES during pregnancy. The recommended regimen started at 5 mg per day in the 7th and 8th weeks of pregnancy (from first day of last menstrual period), increased every other week by 5 mg per day through the 14th week, and then increased every week by 5 mg per day from 25 mg per day in the 15th week to 125 mg per day in the 35th week of pregnancy. DES was originally considered effective and safe for both the pregnant woman and the developing baby. It was aggressively marketed and routinely prescribed. Sales peaked in 1953. By the way, I was born in 1951, right in the midst of this drug’s popularity as a Godsend for preventing miscarriages. Despite an absence of evidence supporting the use of DES to prevent adverse pregnancy outcomes, DES continued to be given to pregnant women through the 1960s. In 1971, a report published in the New England Journal of Medicine showed a probable link between DES and vaginal clear cell adenocarcinoma in girls and young women who had been exposed to this drug in utero. Later in the same year, the FDA sent an FDA Drug Bulletin to all U.S. physicians advising against the use of DES in pregnant women. The FDA also removed prevention of miscarriage as an indication for DES use and added pregnancy as a contraindication for DES use. On February 5, 1975, the FDA ordered 25 mg and 100 mg tablets of DES withdrawn, effective February 18, 1975. The number of persons exposed to DES during pregnancy or in utero during 1940–1971 is unknown, but may be as high as 2 million in the United States. DES was also used in other countries, most notably France, the Netherlands and Great Britain. From the 1950s through the beginning of the 1970s, DES was prescribed to prepubescent girls to begin puberty and thus stop growth by closing growth plates in the bones. Despite its clear link to cancer, doctors continued to recommend the hormone for “excess height”. Initially, fewer studies documented risks of prenatal exposure to DES on males (referred to as “DES sons”). The first documented case study of intersexuality occurring in a male prenatally exposed to DES was published in the New England Journal of Medicine in 1959 by Kaplan. In the 1970s and early 1980s, studies published on prenatally DES-exposed males investigated increased risk of testicular cancer, infertility and urogenital abnormalities in development, such as cryptorchidism and hypospadias. Thus women weren’t alone in this malady … men suffered as well. And I suspect that women at the very least talk about it amongst their friends far more than most men would talk amongst other men. Therefore we all need to be well informed for our own peace of mind as well as informing and educating others, perhaps even our own families.